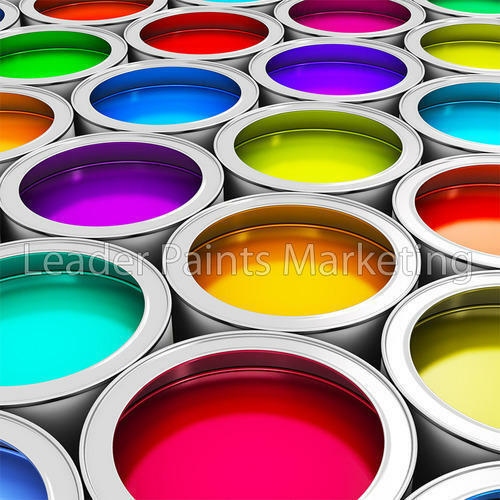 Establishment in the year 1996, Leader Paints Marketing, is backed by rich industry experience of more than 20 years in offering of Thermal Insulation Coating, Fire Retardant Coatings, Heat Resistant Paints, Waterproof & Elastomeric Type of Coatings, and Chemical Resistant Paints, Ant graffiti, Underbody type of coatings, Paints and Emulsions. Further, we also offer Road Marking Paints, Synthetic Paints, and Acrylic Sealants that find application in Automobile, Forging Companies, Household and Industrial Painting. We also meet the requirements of fire retardant paints, fire resistant paints, cold application paints, Water Repellents, Thinner for Enamels. We provide Cleaning Services, Housekeeping Services, System Cleaning and Daily Cleaning Services. Besides, we are the only leading company in India which offers Heat Resistant Paints that is capable of resisting temperature up to 1800 deg C. This technology of our Paint is based on Ceramic Microspheres which are used by N A S A for making tiles to cover space shuttles for thermal insulation and which are hollow and having vacuumed inside. All our endeavors are directed towards offering the world's best range of products at highly competitive prices. Thus Leader Paints Marketing is sole distributors of “Ugam Chemicals” & Pragat Paint Industries. We got these quality tested at IIT Mumbai, National Coating Corporation California and other reputed laboratories in U.S. With our well-developed distribution network supported by 1200 dealers based at various states enables us to offer our range within the given time frame. Thus, we are able to execute all our business operations in an efficient and effective manner and garnered reputed clientele like Mahindra and Mahindra Ltd., Bharat Forge Ltd. Tata Yazaki and Tata Toyo Radiators Ltd. to name a few.They are equipped with latest cutting edge technologies as well as an experienced team of professionals, to develop quality range of Coatings, Paints and Emulsions. Further, our process is accredited with ISO 9001:2015 certifications, which ensures that we offer our range that conforms to set industry standards. We have our branch offices are in Gurgaon (Haryana), Coimbatore, Trivendram, Mumbai, Aurangabad, Sholapur and Jabbalpur (M.P). Ensures on time delivery of consignments. With the assistance and support of our young energetic professionals and our excellent transport services, we have successful in meeting the demands of our clients in India and middle-east countries. We are guided by our Managing Director Mr. Nitin Shah, who holds over a decade of experience working in U.S.A., U.K., Germany and Gulf countries. Owing to his rich expertise in the research and development related to paints, resins and cultured marble products, we have provide impeccable quality paint solutions. Company Profile: Exporter, Manufacturer, Trader. Sales Volume: Rs. 20 crore ( 30 Million INR). No of Production Lines: 3. Investment on Manufacturing Equipment: Rs. 15 lakhs.